Now is your chance to buy an Acorn A7000/+ at a fraction of its original cost. The A7000 comes with the renowned RISC OS. This highly efficient Operating System is ROM based and utilises the ultra low power ARM CPU which dissipates so little heat it doesn't even need a heat sink! 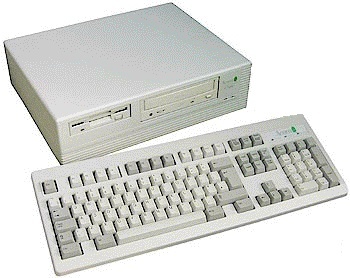 Supplied with a factory standard disc image, the computer comes with a new PC keyboard and PS2 mouse. Price: £349.00 no VAT to pay!